Launchpad Accelerator is a six-month acceleration program for growth-stage startups from emerging markets. 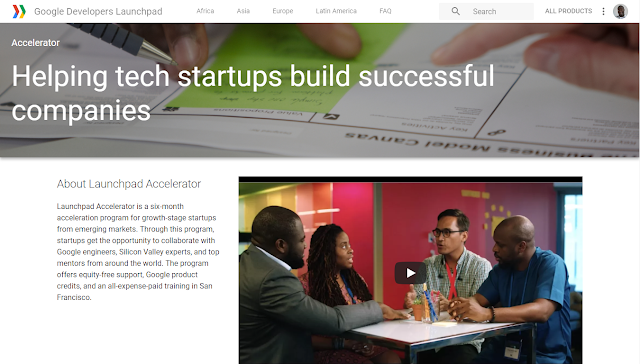 Through this program, startups get the opportunity to collaborate with Google engineers, Silicon Valley experts, and top mentors from around the world. The program offers equity-free support, Google product credits, and an all-expense-paid training in San Francisco. Have you and your team set out to address a real challenge for your home city, country and region? Would you like to join an elite community of startups from around the world? Are you ready to scale your tech startup into a thriving, tech company with help from Google? Application deadline for Class 5 applications is Monday, October 2nd at 9am Pacific time.